Thanks to a thorough understanding of consumer behaviour – how and for what purpose consumers use a given product or service - it is possible to properly adapt a company’s offering to market needs. Consumer behaviour research is the most general category of studies related to consumers. It helps companies look at their products and services from the consumer’s point of view. How can I find buyers for my products? How and for what purpose do customers use my products? A properly focused examination of consumer behaviour allows a researcher to show product or sales managers completely new functions of a product and new ways of service delivery by sellers. Consumer behaviour research is designed in such a way as to provide information on consumers’ actual behaviour. The study may be carried out either at the point of purchase or consumption. The study identifies how the manufacturer’s idea of the product and how it should be used relates to actual consumer behaviour. A relevant report presents areas in which consumers behave quite differently from producers’ intentions. Sometimes the difference results from finding new applications for a product, which may be directly recognised as its extra advantage, and sometimes the study provides information on the obstacles to using the product’s intended functions designed at the product development stage in full. 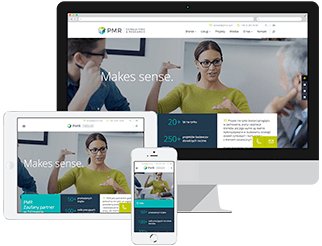 To provide a comprehensive view of consumer behaviour, the PMR Research team uses a combination of qualitative and quantitative research techniques. The initial, qualitative phase is aimed at exploring the subject of the study. Following its analysis with the support of internal sources of information, we progress to the quantitative study of the frequency and intensity of specific consumer behaviours.